Anyway! 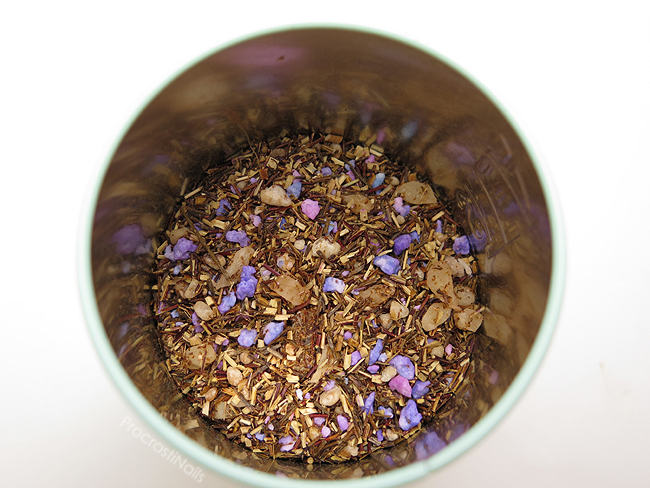 In the interest of checking out some of my fav teas and with the goal of also being able to feature some of my several billion (exaggeration) tea cups I'm occasionally going to throw some tea reviews in with all the nails and beauty. Hooray diversification! 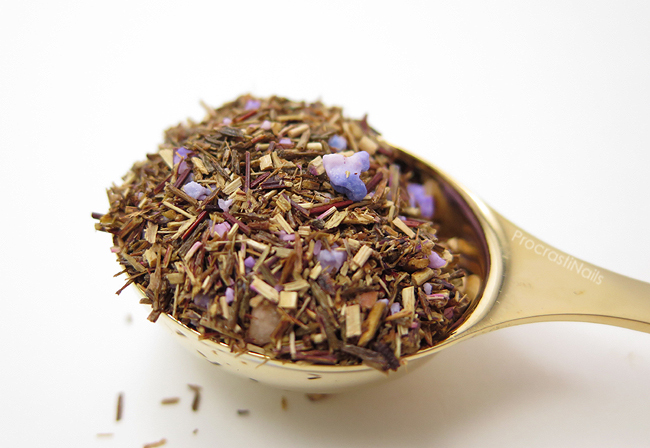 The idea of reviewing tea at all was also inspired by one of my favourite tea (and polish!) 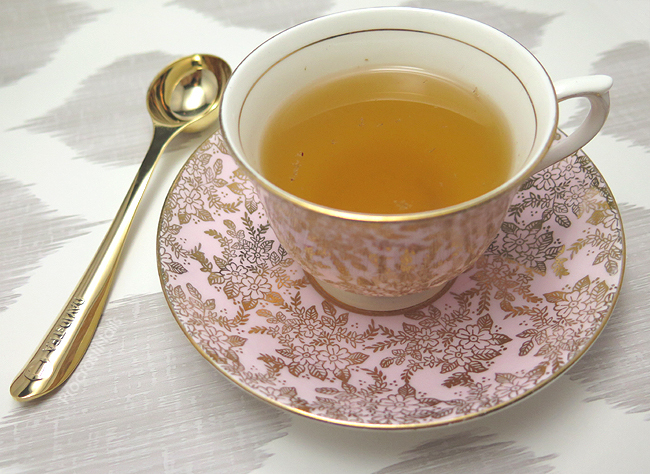 blogs: Tea & Nail Polish! Check her out too, if you want to see more yummy tea! Ingredients: Green rooibos, sprinkles (sugar, salt, artificial flavouring, red 3, blue 1), mango (mango, sugar, citric acid, sulfur dioxide), brittle (sugar, hazelnuts, invert sugar), natural and artificial flavouring. Directions: Use 1-2 spoonfuls and steep for 4-7 minutes at near boiling temperatures. I can't stress how much this tastes like cotton candy. Like, you close your mouth and you legit feel like you have a mouthful of melted cotton candy. It is SO SWEET and SO GOOD! My preferred way of drinking it is with steamed milk in a tea latte with two pumps of agave (because I have a huge sweet tooth). And let's be honest after looking at that ingredient list: a normal person would not need to add more sweetness to this tea! If you want to give this tea a try head down to DavidsTea now to grab it because I don't know how long it will be here for! You can get a container of 85g on sale right now for $9 CAD! I love it as a latte too, but no sweetening it for me! Hmmm that looks SO GOOD!